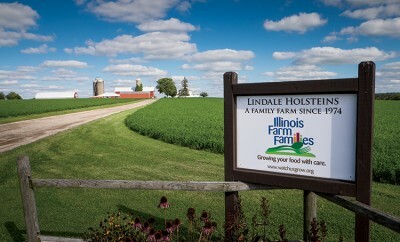 The Illinois Farm Families 2014 Field Mom program welcomes 21 moms from the Chicago area. 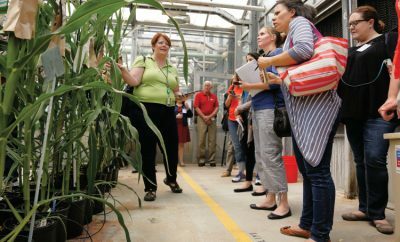 They will tour four farms and talk with farmers to learn more about how food is grown. The tours kicked off in February with a trip to the Ultra Foods grocery store in Naperville to talk about labeling, food safety and what defines “local” foods. A hog farm tour followed in March. 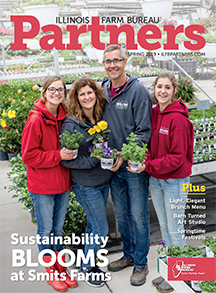 Other planned tours include a planting tour in May, a dairy farm tour in September, and a harvest and livestock tour in October. Watch for the Field Moms’ tour insights by reading their blogs at watchusgrow.org. “I actually got to see how the pigs were treated firsthand. I didn’t see a single pig that I thought was being abused, neglected or otherwise mistreated. […] That’s the wonderful thing about this program – it’s given us insight, allowed us to form our own opinions and empowered us at the supermarket. Just like any of the other hot-button issues moms face – breastfeeding, going back to work, et cetera – there isn’t one right answer about how to feed our families. 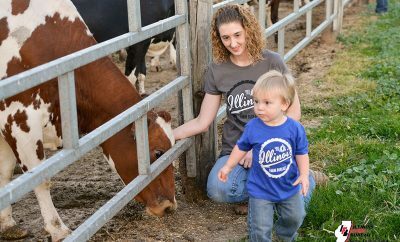 You just have to do the best you can with the knowledge you have and make the right decision for you.” – Betsie Estes, 2012 Field Mom, Elk Grove Village, Ill.
“Personally, I don’t care if they use antibiotics to keep the animal healthy while they care for it. Because after visiting a farm and seeing for myself the way they care for their animals, I have no qualms about it.” – Susan Herold, 2013 Field Mom, Rolling Meadows, Ill.
Illinois Farm Families are Illinois farmers who support Illinois Farm Bureau, Illinois Pork Producers Association, Illinois Corn Marketing Board, Illinois Soybean Program Operating Board, Illinois Beef Association and the Midwest Dairy Association through farmer-funded checkoff or membership programs. 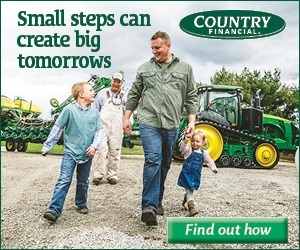 They are committed to having conversations with consumers, answering their questions about food, farmers and farming, and sharing what really happens on today’s Illinois family farms.